The ice skating rink will be coming to Talisman Square from Friday, December 1 to Sunday, December 3 and will be free for the public to use. It will be a 12 metres by 12 metres rink, hold up to 50 skaters and form part of a Christmas extravaganza weekend in the town. There will also be a Christmas Market held at the square on Saturday, December 2, with traders selling locally made products on the stalls. The weekend will be top and tailed with two light switch-ons, with the High Street switch on taking place on Friday evening and the Warwick Road event on Sunday night. “We wanted to do something new for this year and thought that an ice skating rink would bring a little bit of magic to the town. “There aren’t too many places that do outdoor ice skating rinks now, especially with Birmingham cancelling theirs, and there is definitely something special about an outdoor rink at Christmas. 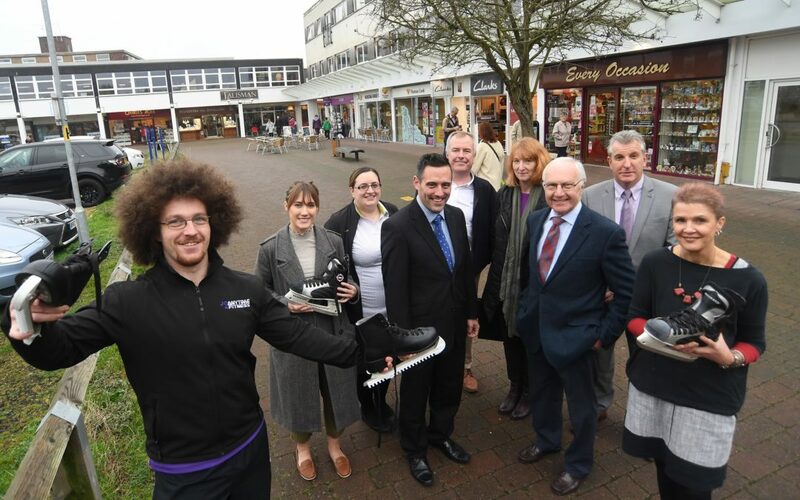 “We’re expecting it to be really busy and attract a lot of families to the town centre, particularly on the Saturday with the Christmas market at the square too, so it will be a family friendly space. “This will be a brilliant addition to Talisman Square over the weekend. The car park at Talisman Square will be closed for the ice rink during the three days, but will remain open for market day on Thursday, November 30.